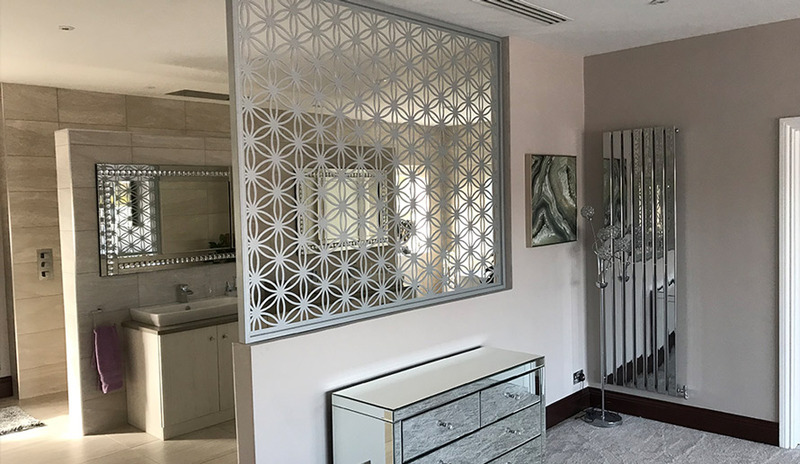 We were delighted to be asked to create the finishing touches to a modern bedroom and ensuite makeover for a customer in the North East of England. 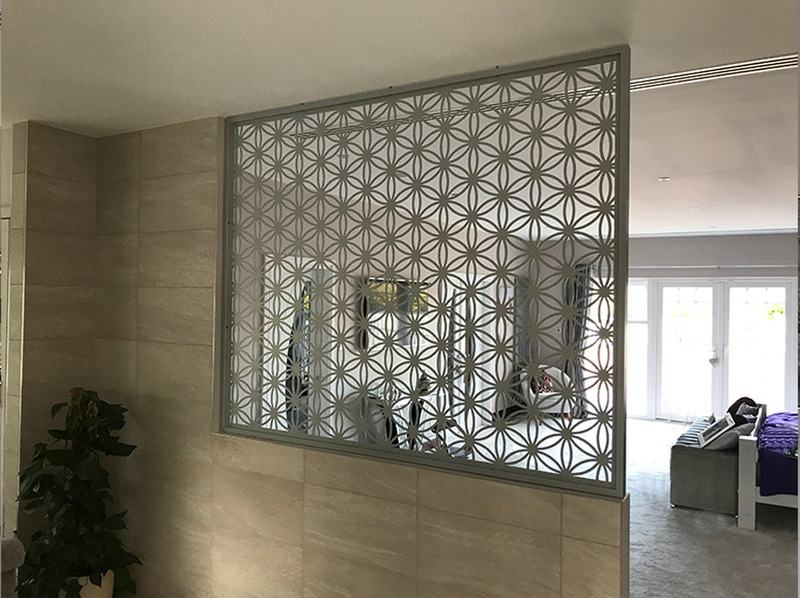 Custom made to a traditional flower of life pattern, we made two screens each with different flower of life pattern densities to ensure the correct visibility from room to room, combining the right degree of privacy and light. 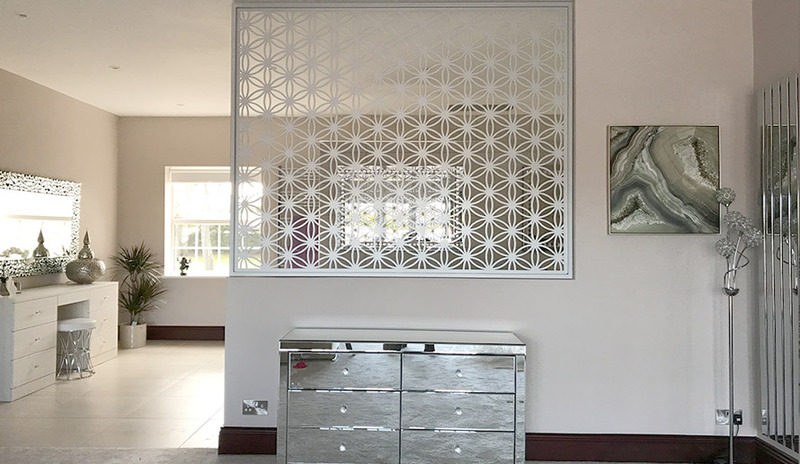 This beautiful screen is finished in an anodic silver colour to echo the light grey, chrome, stainless steel and mirror tones elsewhere within this amazing bedroom setting. 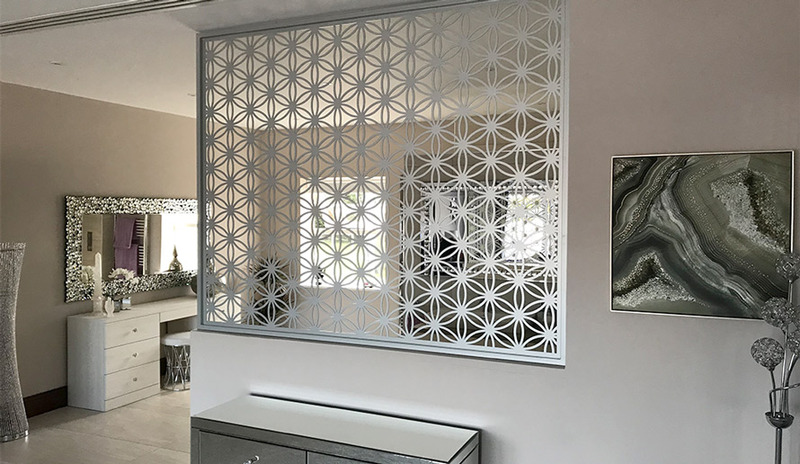 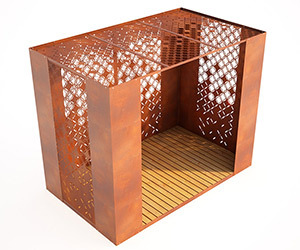 Click here to view the other flower of life screen which is available for immediate purchase.